Hey everyone! I’ve had a few requests for more of my sight word search worksheets, so today I have a fun new freebie for you! 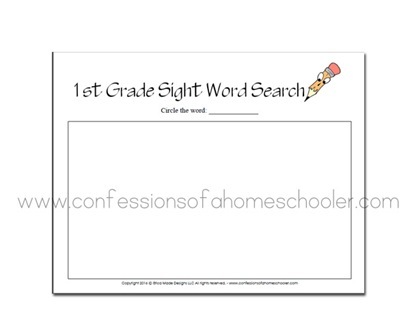 It’s the First Grade Sight Word Search worksheets. 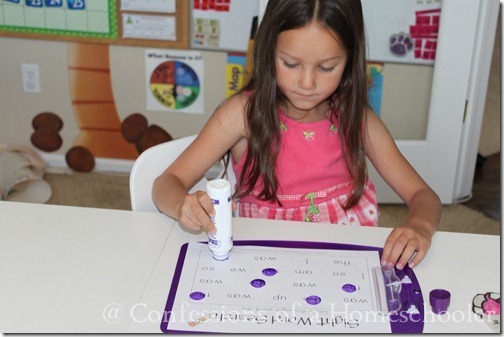 These activities are just another fun way to help your student identify and read each sight word. Keep reading to download this freebie, and see how we use these worksheets in our homeschool! What’s Included in the First Grade List? 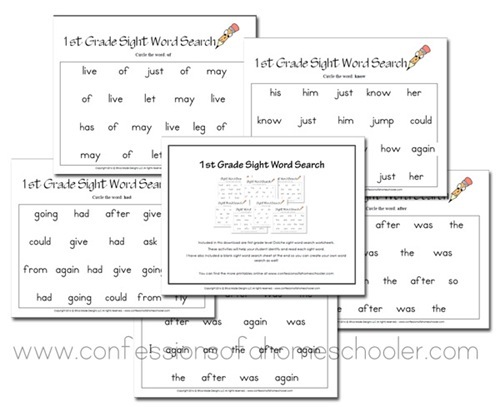 Included in this download are first grade level Dolche sight word search worksheets. After, again, an, any, as, ask, by, could, every, fly, from, give, going, had, has, her, him, his, how, just, know, let, live, may, of, old, once, open, over, put, round, some, stop, take, thank, them, then, think, walk, were, when. I hope you enjoy the First Grade Sight Word Search worksheets! Want to see more of these? Let me know what grades you would like to see in the comments below! I already have a Kindergarten Sight Word Search worksheets, and one that comes as a bonus with my K4/5 Kindergarten curriculum as well! Erica – Thank you for sharing these worksheets! One other idea you can to your list: “Post-it Word Match.” In this activity, we create a “board” with sight words and write the same sight words on post-it notes. We ask kids to first read the word on the post-it note and then match it to the correct place on the board. When I download these or try to just open them, the sight word sheets are just blank. Am I doing something wrong? I’m not sure, when you click the download link, make sure to save the file to your computer, and then open it. It might just be too large for your browser to display, or maybe it’s just taking too long to load. Do you have these for kindergarten sight words? Yes, search kindergarten sight words on my sidebar.